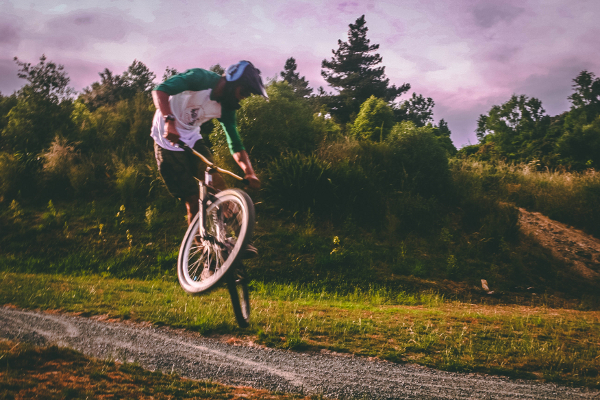 Top Tips for Flying with Your Bike - Enjoy Mountain Biking - GoodGuysBlog.com - New, Technology, Marketing, Health and So on. A bit of nervousness peeps on your mind when you are to fly with your bike for the first time. You are probably thinking a lot to get rid of a lot of hassles regarding this matter. When your bicycle is new as well as you spend a lot of money to buy it, it is needless to describe ongoing tension to fly with it. There are various types of fees fixed by the different airlines. There exist a lot of issues with packing and unpacking your cycle as well as you needs to protect the packaging materials of it as well. In this article, we are going to share top tips for flying with your bike to make you feel ease with this discomfort situation. Mental strength is much needed for any task you want to accomplish successfully. When you are going to fly with your bike for the first time, it’s obviously a nerve wrecking experience for you. But you have to cool your nerve by not getting nervous anymore. You need to feel relaxed and think about to get prepared well. A good thinking organized with a strong mind will bid a good trip for you with it. Cleanliness is one of the most important things to care when you are planning to fly with this riding companion. There are some rules and regulations imposed in different countries and they are very strict about foreign dirt's. That’s why you need to clean it before traveling. Therefore, cleanliness will keep your mind fresh in pulling the motor cycle as well. So, take a special care about the fact. To ensure the best safety, you need to fix the bike case carefully. When traveling, packing is amuch-needed issue to fix. There are three kinds of choices for packing your bike. You can effectively pack it in a hard shell case, soft shell case or in a cardboard box as well depending on your choice. A hard shell will ensure the massive protection of your bicycle. It will carry extra cost from you for its excessive size. The cheapest option you can have in a cardboard box. But there is a disadvantage of this option. When weather won’t favor you, your bike case can get wet with rain easily. As a result, it will end up being a great problem towards you. You can choose soft-shell bike bag in this term. It can protect your bicycle well without making any harassment in themiddle. The extra weight of your bike can incur more charges at the check-in counter. Although it mostly depends on theairline, you need to keep the weight of it down as far as possible. In most cases, staying under 50 pounds makes no problem. Some people pack pumps, helmets, and other necessary tools in the shell case. Hence it increases the weight and probably makes a huge damage to your bike. Rather, you can pack these gears with other regular baggage. That’s how you can save your money and ensure the highest safety to your bike. Some people may not prefer to choose first class airline when they are travelingby bike. An oversized baggage can charge extra cost. So, why should you waste money in choosing first class ticket? These kinds of way of thinking are completely unnecessary and spoil your journey as well. Sometimes first-classouting cost is less depending on the airline. Total cost you can afford instead of making extra money in check-in counter for your oversized luggage. It’s better to upgrade in first class to avoid unnecessary tensions. It will be pretty good for you if you directly call the airline to book your motorcycle. When you have an oversized baggage with it, you need to book it separately. There are offers you an opportunity at anaffordable price that can be highly helpful for you. Nevertheless, every airlift provides you the opportunity to check in about arriving at the airport. Do your online check-in as far as possible. This initiative will save your time too. Your packing should be well-organized. How do you feel when your packing materials suddenly get out from the baggage? That’s why you should arrange it wisely. Hence, you should take this packing issue seriously with a close look. Try to make things keep in order when you are packing. That’s how you can get your things easily in hand. You should try to pack things by rolling them in the baggage. If you manage your bike in a cardboard box, you should add some extra layers on the body of the bike case for extra caution. Take some additional packing taps with you. If you face any situation of examining the box by customs, you may have to repack the packing case again. You should arrange the gears in such a way so that the equipment's don’t get damaged by any chance. You should leave a little air on your tires to protect the rims. The way you should evaluate your trip with comfort and enjoy, we describe all of the tips techniques here in this article. Flying with your best mountain bike is not a small issue to handle at all. But if you follow these top tips for flying with your bike, your journey would appear a sweet one for you. Proper planning and preparation both can make an easy solution to your problem. Hopefully, you have a nice trip with it without any worries.